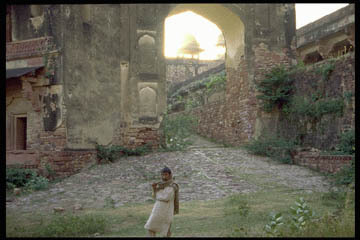 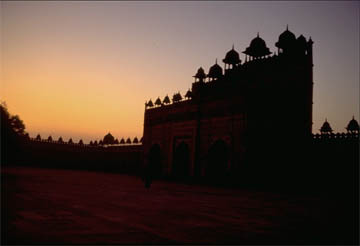 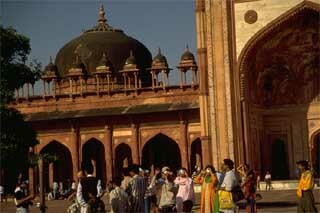 Fetapur Sikri is a well preserved deserted 17th century Mogul city/ruin with a still-active Mosque. 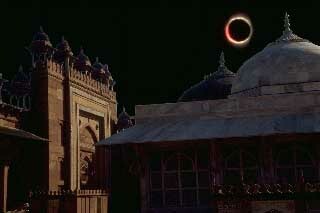 An indian myth has Rahu, a demon who steals life giving ambrsia from Surya, the Sun God. 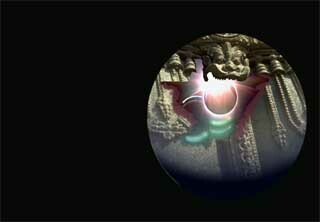 An angry Surya cuts off Rahu's head before the liquid penetrates his body. 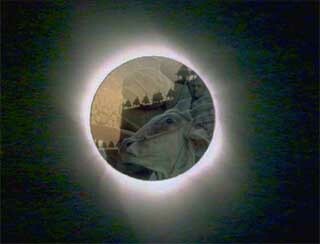 Rahu's imortal head flies up into the sky where he is ever chasing the sun for revenge. 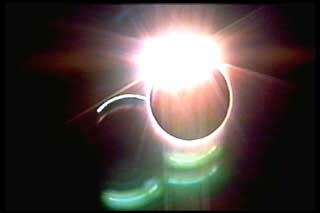 But as Rahu has no body, when he occasionally catches Surya, the sun, an eclipse occurs, but the sun falls out through his bodiless head and thus the Sun returns.